Google have expanded their Google Takeout service. Previously, most of us had used Takeout to export our feed archives from Google Reader before the big shutdown last year, a shutdown many still mourn to this day. However, Google made switching to an inferior RSS client the relatively easy. It seems tha they have now expanded the service to all you to back up 18 of their services locally. A handy feature that might just help those with concerns about storing everything in the cloud and somehow feel their trusty 7 year old USB Hard Disk is a safer place than Google’s own multi-billion dollar facility. Doing a back up really shows a frequent user just how much information they put up there, privacy sceptics will be flipping out. TV lovers will be excited to hear that Amazon is filming all of its original drama in 4K UHD quality for LOVEFiLM. 4K UHD is a relatively new technology which provides viewers with exceptional clarity and definition, using four times as many pixels as FULL HD. The enhanced detail means that even with very large television screens the definition is not compromised. Extremely high definition on a grand screen might sound like TV heaven, but up until now there hasn’t been much for 4K UHD televisions to watch. Some 4K televisions come loaded with material shot in 4K to showcase the technology, but more content filmed in 4K is needed. 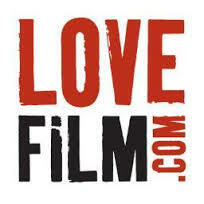 That’s why audio/visual enthusiasts and TV fans will welcome the news about Amazon and LOVEFiLM. Advances in encoding technology (which enables audio and visual material to be downloaded) means that 4K UHD television and movies can now be streamed quicker. Next year Amazon will be producing five new television pilots which viewers will be asked to watch and give feedback on. Once piloted, they will get made into a series filmed in 4K UHD and be available to stream on LOVEFiLM. The pilots include Chris Carter, creator of the X-files, show ‘The After’, ‘Bosch’- a series based on the Harry Bosch book series- and ‘Mozart in the Jungle’ from critically acclaimed director Roman Coppola. This development is great for online streaming customers, even if they are not yet on the 4K UHD bandwagon. 4K ultra high definition is set to be this year’s big audio/visual technology story and with not much content out there, Amazon have got a head start. 4K UHD will only become more popular and it’s good to know that when there is more content available. Gareth and Matt are here with another UK update on the mobile front. Unboxings galore and a look at some of the major announcements from CES 2014. The first podcast of a new year sees CES in full swing so there’s plenty to talk about this week and plenty to catch up on following a long Christmas and new year break.